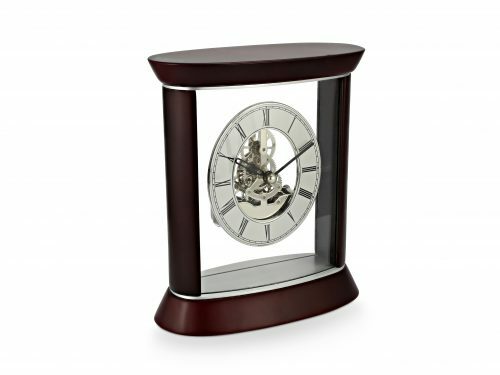 A beautiful round skeleton clock in glossy, piano finish American red cherry wood. 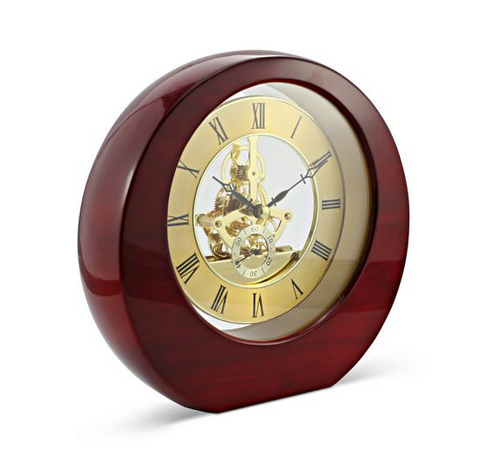 A beautiful round skeleton clock in glossy, piano finish American red cherry wood. 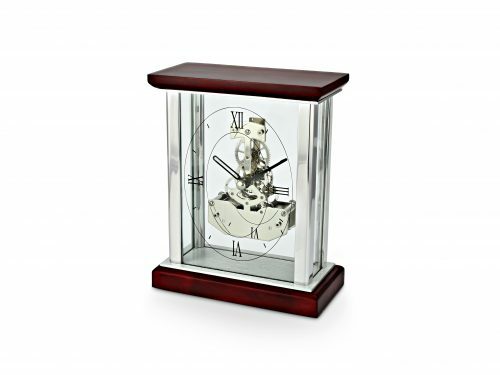 Within the case there is a satin gold finish and the polished gold plated quartz movement, featuring a separate second hand and dial ‘floating’ within the case and are secured to the rear poly glass, where you will find the battery compartment. The movement requires 1x AA battery (supplied). 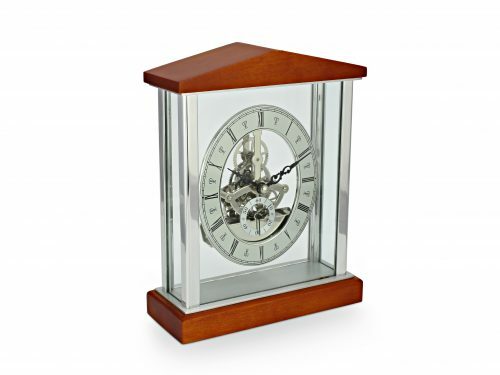 This clock is boxed and fully guaranteed for 1 year from date of purchase.